As the daughter of bar and restaurant owners, Terry Grochowski was lucky to grow up in the industry she loves. 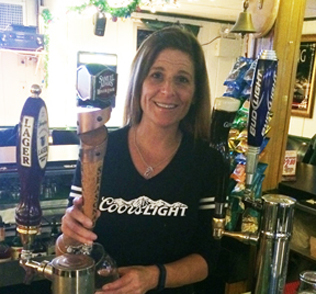 Throughout her life in the business and 30 years of bartending, her favorite thing about her job continues to be the people she meets. Not only has she met life-long friends but she also gets to meet new and interesting people everyday. As a mother of three, Terry also enjoys the flexible hours that the business offers her to work around her family’s needs. She goes on to say, “The Madison Tavern is a family-oriented place which makes it a great place to work” while also raising her family.